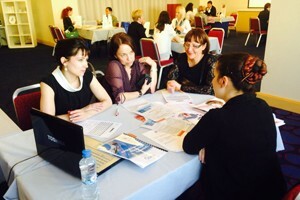 The WEBA Undergrad Fair is a unique opportunity to meet qualified undergraduate candidates and decision making family members throughout the most vibrant markets of Eastern Europe and Central Asia. Selective approach of the audience and thorough candidates registration procedure ensure valuable results for participating institutions. Bachelor, foundation, pre-university programs, summer and language courses, and international exams. Exhibitor's package includes promotional opportunities, networking and market research tools, as well as logistic support. Every event advertising campaign is based on targeted promotion of each exhibitor and its educational programs.